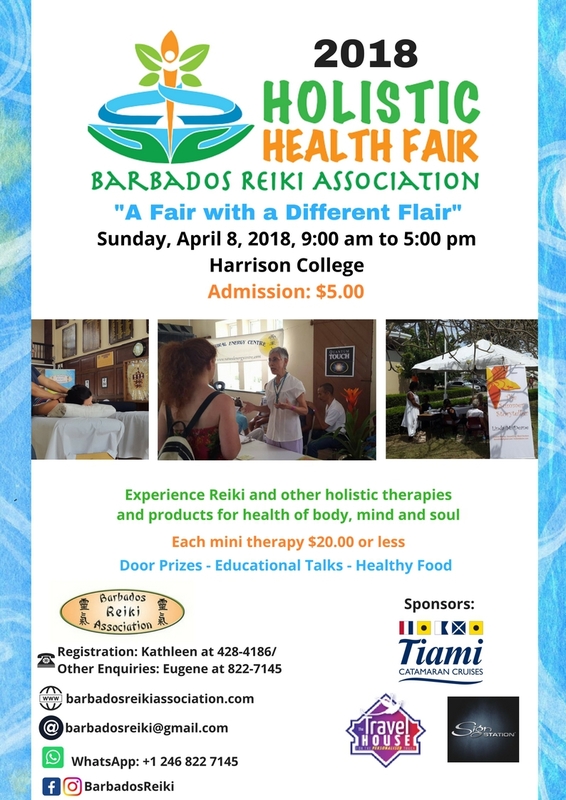 The Barbados Reiki Association presents a Holistic Health Fair entitled 'A Fair With A Different Flair', which will take place on Sunday 8th April, 2018 at Harrison College in Bridgetown from 9am to 5pm. Experience Reiki and other holistic therapies and products for health of mind, body and soul. Each mini therapy BB$20 or less.